A bold set with zebra-inspired print. This crew set puts a playful spin on adidas 3-Stripes heritage. 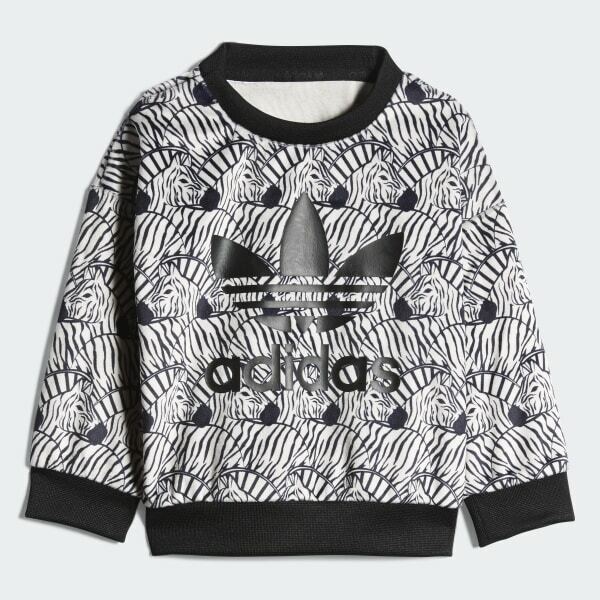 The crewneck sweatshirt shows off a fun allover zebra print. Both top and bottom are made of velour for a plush feel.